A sermon preached at the Church of the Incarnation, San Francisco, on January 31, 2016, by Christopher L. Webber. The gospel we just heard is part two of the story we began last week And the change from Part One to Part Two is really amazing, even frightening. This is, I think, a gospel not easy to hear, not easy to take in, and not easy to respond to. I said we heard the first part last week, but other things were going on last week and you may not remember, so let me take a leaf from the soap opera serials first of all and summarize “the story so far.” When we tuned in last week we heard Jesus preaching in his hometown synagogue in Nazareth. The custom in those days was to honor a stranger in town by calling him up to the bema to read from the scriptures and to say something about the text. It’s not very different from what happens today when a boy or girl comes of age and reads from the Torah for the first time at a bar or bat mitzvah. Jesus had come home again after beginning his ministry. Already he had some reputation as a teacher and healer so there was a special interest in what he might say and do back now in his own hometown. So they gave him the scroll to read and he read from the Prophet Isaiah: The spirit of the Lord is upon me because he has anointed me to bring good news to the poor. He has sent me to proclaim release to the captives, and recovery of sight to the blind… To proclaim the year of the Lord’s favor. It was commonly assumed that that wonderful passage had to do with the coming of the Messiah. So Jesus read it and rolled the scroll back up and sat down there at the front of the synagogue to teach and he began by saying, “Today this scripture has been fulfilled…” That’s the story so far. That’s where we ended last week and that is also where we began today full of hope and promise. Jesus says in effect, “You have this wonderful expectation and right now right here it is fulfilled. You are waiting for the Messiah? I’m here.” Good news, right? And that’s where we ended last week, but it’s not the end of the story. This week we find out what happened next. As we learn about the violence in San Bernardino, our first response is to go down on our knees and pray for those who have been killed or wounded. We pray for families and communities that are broken and scarred by senseless violence once again. 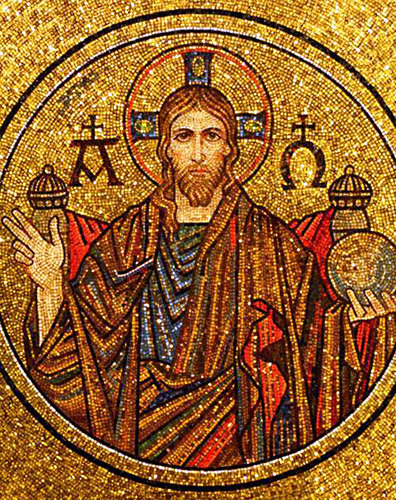 As disciples of Jesus, we are those who see the image of God in every human being. In the hours and days ahead, we learn more about what is already a profound tragedy. To underscore how close this travesty hits, I have learned from the Rev. Andrew Green that one of his parishioners from St. Paul-in-the-Desert, Palm Springs was present at the facility and is now safe. 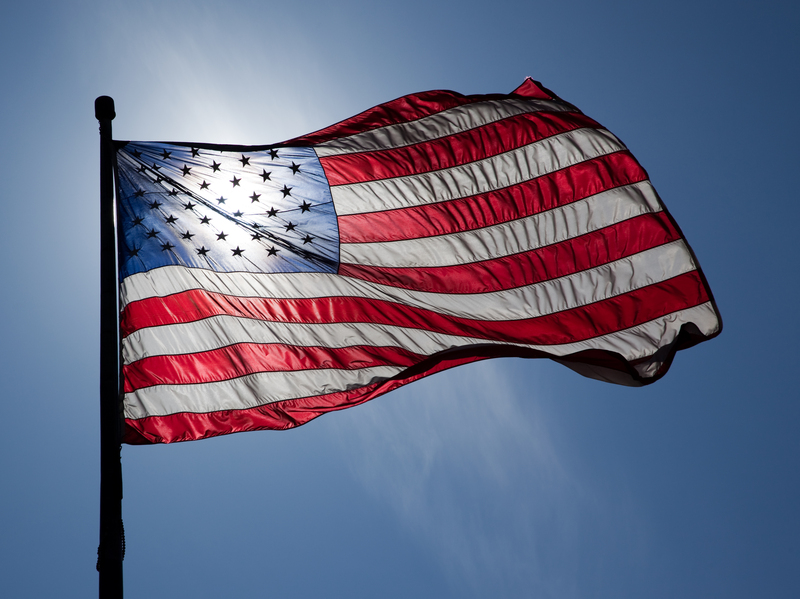 There will be time to ponder the deeper implications and our response to this moment, but this night let us pray deeply that God may assuage the sorrows of those most harmed by today’s evil. I wish you blessings and peace this night. Three gunmen have killed 14 people and injured 17 or more at a social services facility in San Bernardino, California. 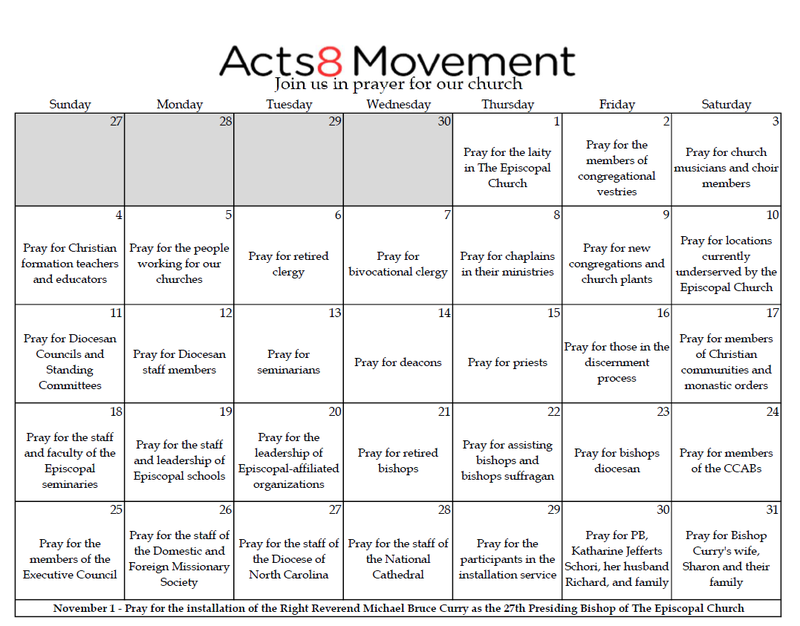 The Acts 8 Movement invites you to join with us in a month-long cycle of prayer for our church in the lead-up to the installation of Bishop Curry as the 27th Presiding Bishop of the Episcopal Church, on Sunday, November 1, at noon Eastern time. Each day on the calendar, beginning October 1, holds a specific intention for prayer, ranging from the local to the church wide. 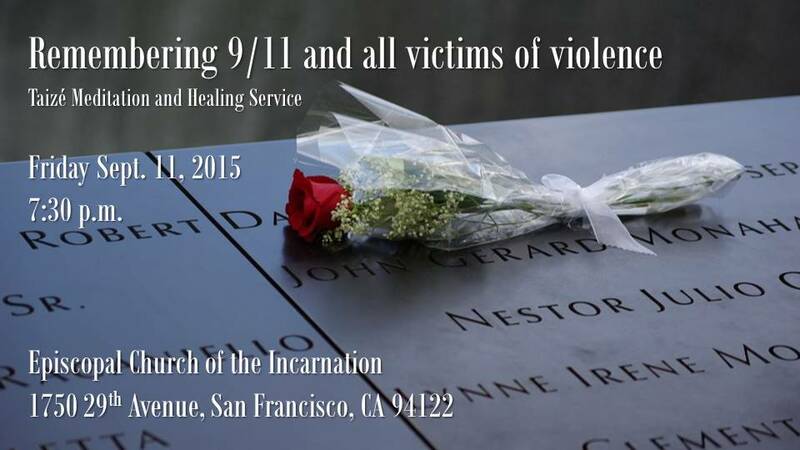 On Friday Sept 11 at 7:30 pm, please join us for our monthly Taizé ‬ meditation service where we will offer special prayers to commemorate the anniversary of 9/11 and pray for victims of terror and violence. Pray with us for peace. Date & Time: Friday Sept 11 at 7:30 p.m.
Last Thursday was Ascension Day. Next Sunday is the Feast of Pentecost. And you might very well expect today’s Gospel reading to take place during the ten-day period between the Ascension and Pentecost. But surprisingly it doesn’t. Instead, we go back in time, and we get a snippet of prayer that Jesus offers up at the Last Supper. I say “snippet,” because today we hear only the second of three sections of Jesus’ so-called “high-priestly prayer,” which he prays at the conclusion of two lengthy farewell speeches extending over three whole chapters of John’ Gospel. The first section of the prayer is for Jesus himself. The third section is for the future Church. And the second section, which we heard read today, is for the disciples reclining around the table at the Last Supper. In a sense, we are eavesdroppers. This section of Jesus’ high-priestly prayer is addressed to God—not us—and it is offered on behalf of the original disciples—not us. So why does the lectionary have us listen in? I think there are two reasons. The first is that, as baptized Christians, we are meant to continue the ministry of the original disciples, and we can expect to encounter some of the same struggles that they did. The second reason has to do with a tradition of the Early Church to expound on the sacraments at every sermon during the 50 days of Eastertide. (The technical term for this practice is mystagogy.) 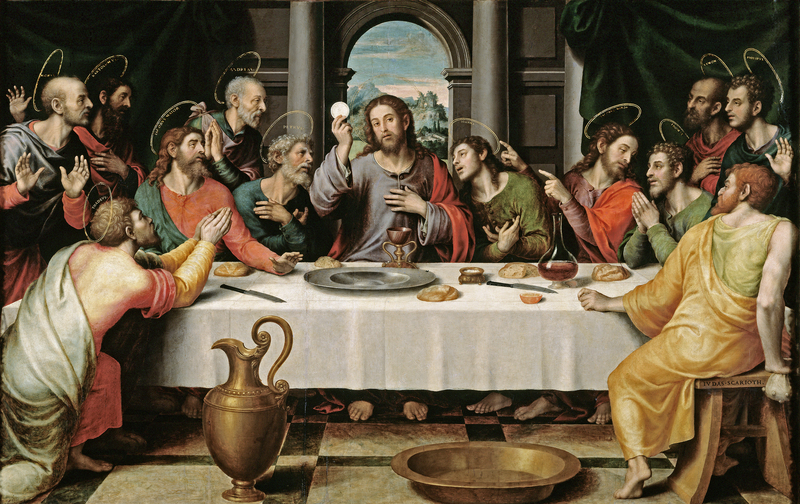 And believe it or not, today’s Gospel has some profound implications concerning both baptism and Eucharist, despite the fact that neither sacrament is explicitly mentioned in the prayer. But there is a problem! As we eavesdrop on Jesus’ prayer, we find that he is speaking in code. One of those code words is the word world. We get a sense that something cryptic is intended when we hear Jesus say, “I am not asking on behalf of the world.” Why would Jesus refuse to pray for the world? The answer is that, in John’s Gospel, the word world almost always refers to humanity in its fallen state. More specifically, it refers to those who willfully defy God’s will for them and who actively oppose the message proclaimed by God’s Son. Given this understanding of the world, it is not such a surprise that Jesus does not pray on behalf of the world. For the only prayer he could make is that the world cease to be the world, that sinful humanity cease to be sinful humanity.